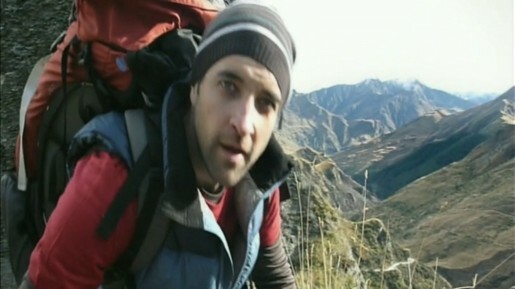 Panasonic in Australia copped some flak for their “Climber” commercial, filmed in New Zealand and aired in May 2009. Filmed in Mt Aspiring National Park, New Zealand, the video showed a climber carrying a Panasonic Lumix FT1 camera in the mountains. Search and rescue staff find him at the bottom of a cliff and use his camera to find out what happened. Much of the video, including panoramic and underwater images, was shot using the actual Lumix camera. The original advertisement showed the climber lying still at the end, one leg at an awkward angle, perhaps dead. The camera, however, was shown to be tough and waterproof with a high definition AVCHD Lite video and outstanding still images. Panasonic withdrew the advertisement after complaints and brought it back with a revised version in which the climber moves his arm at the end. However, even that version has now been removed from the Panasonic YouTube channel. See the revised version posted by Panasonic on Facebook Video. The Climber ad was developed at The Campaign Palace, Sydney, by creative directors Cameron Hoelter and Kelly Putter, and agency producer Jacqui Gillies. Filming was shot by director Hamish Rothwell via Goodoil Films, Sydney, with producer Juliet Bishop, director of photography Ian McCarroll. Editor was Stewart Reeves at Guillotine. VFX were developed at The Lab Sydney.